Who says rainy days can’t be fun? Break out that puzzle and get to work! 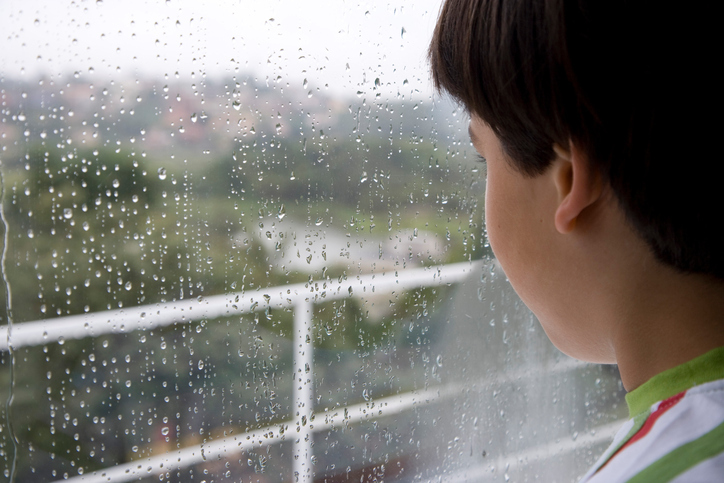 Do you have a case of the rainy day blues? The weather here in Maryland fluctuates pretty frequently and we sure do love our sunshiney days, but rain seems to be lurking into the forecast more often than not as of late. So, when the weather doesn’t permit you to enjoy life outdoors, how you can enjoy life inside of your apartment? We’ve got some ideas. Let’s talk about a few rainy day apartment activities that will inspire entertainment or at the very least, productivity. As you stare out the window at the drenched trees and landscaping, perhaps this will serve as a reminder that it may be time to care for those indoor plants you’ve been neglecting. Even those apartment plants that are hard to kill could benefit from a good watering now and again. Is there a clutter buildup somewhere in your apartment? Oftentimes, residents look over areas of stress-inducing clutter or disarray and promise themselves they’ll get around to it “when they have time” – curiously, this magical time never comes. While it can be tempting to sit around on a rainy day and watch a movie in your pajamas, taking the time to clean and organize something that’s been weighing on your to-do list can be incredibly gratifying. Consider organizing your: shoe rack, closets, kitchen cabinets, refrigerator/freezer, bathroom storage area, bookshelf, or bedroom. Fun fact: Cleaning can help you combat pollen in your Maryland apartment. Puzzles make you think, and they can be a fun alternative for passing the time when boredom strikes on a rainy day. Break out that jigsaw puzzle and get to work! If you don’t complete it, just get back to it on the next rainy day. If you don’t have a jigsaw puzzle, considering completing a crossword, Sudoku, or similar type of puzzle. Check out The Washington Post’s free daily crossword puzzle. This entry was posted on Wednesday, May 18th, 2016	at 1:47 pm	. Both comments and pings are currently closed.